What different hearing tests am I likely to undergo in an audiology clinic? Hearing deterioration is common as people age. But that does not mean that it only happens to old people. In fact, over a third of people with hearing loss are still of working age1. Hearing loss in younger people can be due to noise-induced, genetic abnormalities and many other health conditions. However, only hearing professionals or audiologists can determine or diagnose these hearing issues. They are experts in different hearing tests that are useful in detecting hearing problems. It is common for patients to experience anxiety over the different hearing tests they will experience in an audiology clinic. So, to avoid that, this article outlines what happens in an audiological clinic. In addition to that, we will provide a brief background of some of the different hearing tests so that readers will have a clue and will know what to prepare for. This article will provide the necessary information and preview of the different hearing tests that an audiologist will perform on a patient. These different hearing tests that a patient will experience will not only detect existing hearing problems but can also help prevent auditory malfunctions as early as possible. This test will assess your ability to detect sounds. There will be variations in volumes of sounds. The patient’s task is to respond to the sounds presented by pressing a button whenever they hear them. Pure tone audiometry is conducted in a soundproof room so that unnecessary sounds do not impact the hearing test. Bone conduction audiometry tests the inner ear function. The audiologist will perform a pure tone audiometry test with a small vibrating device behind the ear. The sound this device makes is sent directly into the inner ear. 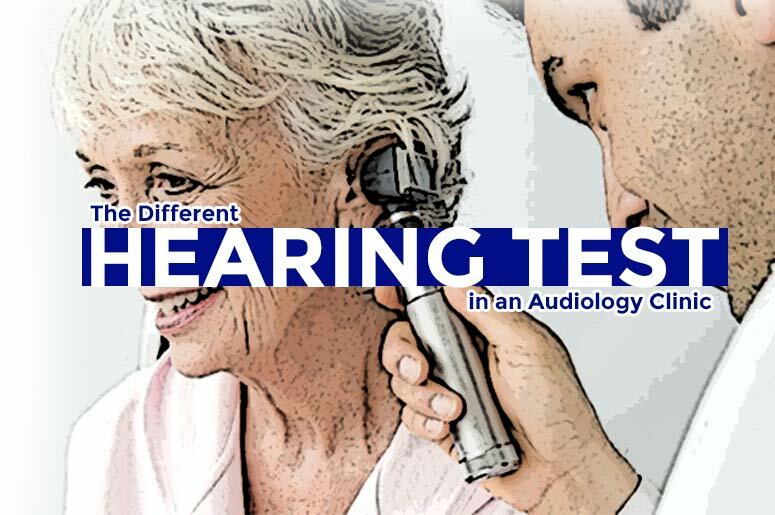 Using this test, the audiologist can determine which part of a patient’s ear is not working properly. Tympanometry is a test of the middle ear (eardrum and middle ear bones). With this test, audiologists assess the movement of the tympanic membrane. Eardrum movement is what allows sounds to pass through enabling the hearing organ to hear. If there is any condition which blocks eardrum movement, such as wax or infection, it is detected by tympanometry. This test will measure your speech reception threshold (SRT). It will determine the faintest or the most indefinite sounds you can understand. Audiologists usually do this test in a soundproof room where no other sounds can interrupt the patients’ concentration. In some cases, the audiologists will perform the test in the presence of noise, in order to measure the patient’s ability to differentiate speech in noise. ABR is a different hearing test that does not rely on the patient responding to sounds. Rather, this test uses electrodes that need to be attached to your head or scalp and behind the ears. This test can measure are the brainwave activities in response to different intensities of sounds. ABR is a test that is not routinely used in audiology clinics but can be useful for certain conditions. Some doctors refer newborns to undergo this type of test to know if there are any hearing problems. OAEs are another test that does not require the patient to respond to sounds. A small machine is placed in the ear and records sounds that the cochlear emits. OAEs can determine whether there has been damage to the cochlear hair cells. Along with other different hearing tests, experts use OAEs to screen newborns to screen hearing issues as early as possible. The test helps determine the location of the hearing problem and the type of hearing loss a patient has. This type of test measures the involuntary movements of the muscles located in the middle ear. There might be a lot of more different hearing tests out there that audiologists are yet to introduce to the medical world. But, take note that whatever it is, the common goal is for your hearing to improve. As you can see, there are many different hearing tests that can be used for different purposes. Your audiologist can discuss which different hearing test is necessary for you. If you wish to learn more about audiology and hearing aids, check out the other blog posts available on our website. The clock is ticking, folks! Be sure to get your hearing checked before it gets too complicated to fix. Access Economics, Listen Hear! The economic impact and cost of hearing loss in Australia, (February 2006), p. 5. This entry was posted in Hearing Tests and tagged Children Hearing Tests, Hearing Tests, Medical Audiology Services.